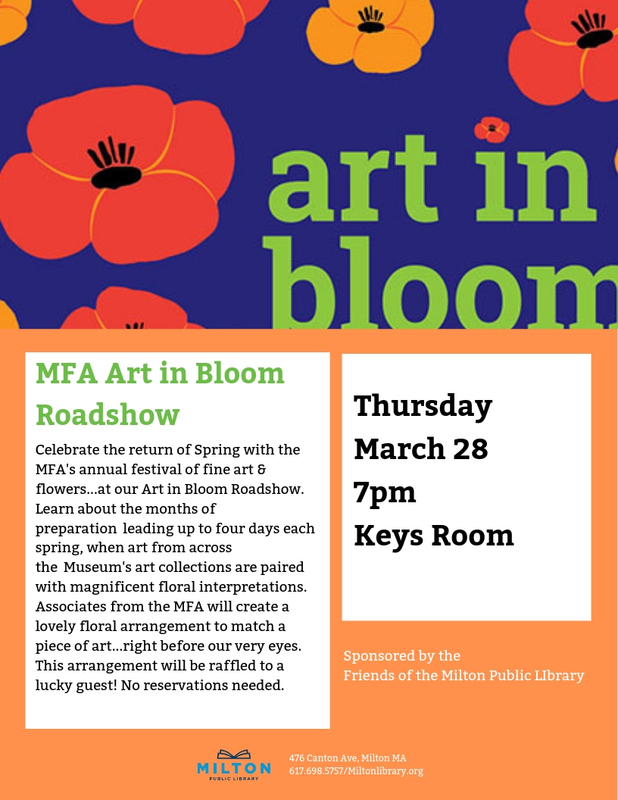 Enjoy the MFAs popular Art in Bloom show, right here at your Milton Public Library! Associates from the MFA will bring their best floral arranging skills to create a lovely arrangement to match a piece of art, right in front of us. And best of all, the arrangement will be raffled off to a lucky guest! No reservations needed, but this is a popular event, so plan to arrive early to get a good seat. Mark your calendars now for this very fun event and think Spring!